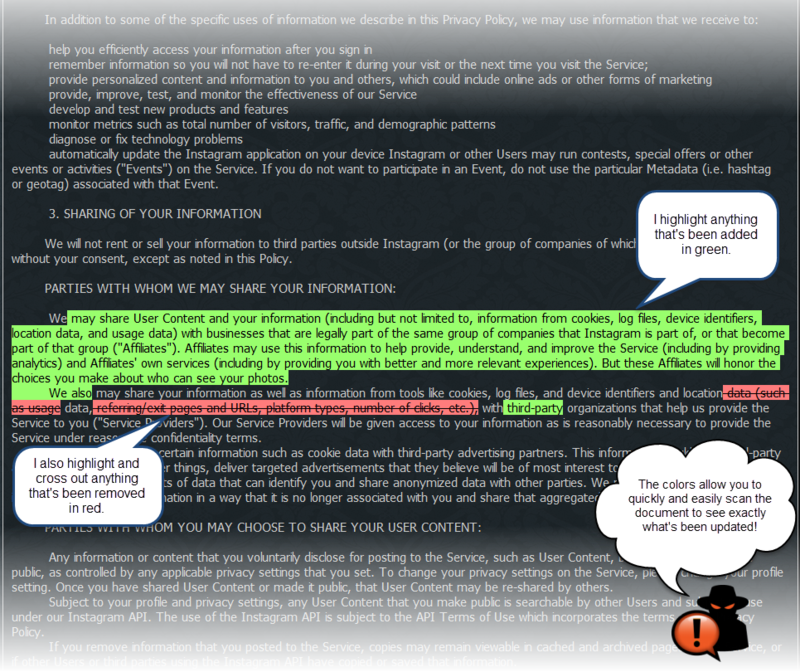 Show other documents from Download.cnet.com TIP: Try comparing two versions that are closer to one another. When they're too far apart, the comparison may become unreadable depending on how many changes were made. Mar 21, 2019 This document no longer exists and has been archived by Paranoid Paul. Oct 16, 2014 Many new changes have been made throughout. Sep 15, 2011 This is the initial version that ParanoidPaul captured. It is not necessarily the first version of the document. The “Application” consists of: (a) the CBSi mobile application, including all content, information, data, designs, code, and materials associated with the application and all derivative works of the foregoing (“Content”); and (b) any files that are delivered to you by CBSi (via online transmission, through a third party distributor, or otherwise) to patch, update, or otherwise modify the CBSi mobile application. The Application is the copyrighted work of CBSi and may contain trademarks, service marks, trade names, and other intellectual property of CBSi. If you are accessing the Application via a distribution channel (“Distribution Channel”), such as the Apple App Store or the Android Marketplace, you and CBSi acknowledge that this Agreement is entered into between you and CBSi, that the Distribution Channel is not a party to this Agreement, that CBSi and its licensors are solely responsible for the Application and the Content, and that the Distribution Channel will not provide you any support and maintenance for the Application. THE APPLICATION MAY USE LOCATION-BASED SERVICES TO LOCATE YOU. IF YOU CHOOSE TO USE THE APPLICATION, YOU CONSENT TO CBSi AND ITS THIRD PARTY PROVIDERS DETERMINING YOUR LOCATION. THE LOCATION-BASED SERVICES FEATURES ARE FOR INDIVIDUAL USE ONLY AND SHOULD NOT BE USED OR RELIED ON AS AN EMERGENCY LOCATOR SYSTEM, USED WHILE DRIVING OR OPERATING VEHICLES, USED IN CONNECTION WITH ANY HAZARDOUS ENVIRONMENTS REQUIRING FAIL-SAFE PERFORMANCE, OR ANY OTHER SITUATION IN WHICH THE FAILURE OR INACCURACY OF THE LOCATION-BASED SERVICES COULD LEAD TO DEATH, PERSONAL INJURY OR PROPERTY DAMAGE. THE LOCATION-BASED SERVICES ARE NOT SUITED OR INTENDED FOR FAMILY-FINDING PURPOSES, FLEET TRACKING, OR ANY TYPE OF BUSINESS OR ENTERPRISE USE – OTHER PRODUCTS EXIST TODAY THAT MAY BE USED SPECIFICALLY FOR THESE PURPOSES. CBSi may make changes to this Agreement from time to time and CBSi will post a copy of the updated Agreement at CBSi Mobile EULA that will be applicable to installation or continued use after the effective date of the update. You acknowledge and agree that if you install or use the Application after the date on which the Agreement has changed, CBSi will treat your installation or continued use as acceptance of the updated Agreement on a going-forward basis. If any future changes to this Agreement or the CBSi Terms or any applicable Additional Terms are unacceptable to you or cause you to no longer be in compliance with this Agreement, you should terminate your use of the Application as provided in Section 9. You acknowledge and agree that CBSi may completely modify, suspend, or discontinue the Application or the Content at its sole discretion and with or without notice to you. You further acknowledge and agree that even if a copy of the Application continues to reside on your device, after we modify, suspend or discontinue the Application, the Application may not work as it did prior to such action, and CBSi will have no liability to you or any third party as a result. You agree that CBSi may also impose limits on certain features or restrict your access to part or all of the Application or Content without notice or liability to you. CBSi may add additional features to the Application or Content that require payment, convert existing features of the Application or Content to paid services, or change the existing payment structure for the Application or Content. You agree that free access to all or a portion of the Application or Content at a point in time does not give you a right to continued free access to any or all of the Application or Content. You have no interest, monetary or otherwise, in any feature or content contained in the Application or Content. Because you are obtaining the Application from a Distribution Channel, your purchase, if the application is paid, and any subscription, if the Application or its Content requires a subscription, will be subject to the terms of the Distribution Channel. In some cases, CBSi may set pricing or renewal terms, but CBSi may have no control over these terms, and you should always contact the Distribution Channel to determine whether any subscriptions are subject to auto-renewal and the pricing at which subscriptions may renew. CBSi or the Distribution Channel may change pricing for the Application or Content. We may not provide price protection or refunds due to price reductions, promotional pricing, or any other changes to pricing for any reason. You acknowledge and agree that CBSi has all right, title, and interest in and to the Application, including all Content served through the Application and all intellectual property rights associated with the Application. The Application is protected by the copyright laws of the United States, international treaties and conventions, and other laws. Except as expressly stated herein, you have no intellectual property rights in the Application (including without limitation any rights to use the trademarks, trade names, servicemarks, logos, domain names, and other distinctive brand features), and CBSi reserves all rights not expressly granted to you. You must comply with all laws when using the Application as well as all applicable copyright, trademark or other legal notices or restrictions. We reserve all rights to the Application and Content, other than the limited license in Section 4. You may not otherwise copy, reproduce, distribute, publish, display, perform, or create derivative works of the Application or Content without our permission. You also may not transfer, resell, or sublicense this limited right to use the Application. G. facilitate, create, or maintain any unauthorized connection to the Application, including without limitation: (a) any connection to any unauthorized server that emulates, or attempts to emulate, CBSi’s or its vendors’ servers; and (b) any connection using programs or tools not approved by CBSi in its sole discretion. 4. Grant of a Limited Use License. Subject to your compliance with the CBSi Terms and this Agreement, CBSi hereby grants, and you hereby accept, a limited, non-exclusive license to:(a)install the Application on one mobile device owned by you or under your legitimate control; and (b) engage in non-commercial use of the Application. All rights to use the Application are granted on the condition that such rights are forfeited if you fail to comply with the terms of this Agreement. 5. Use of the Application. As part of the Application, you may receive push notifications, text messages, MMS messages or other types of messages directly sent to you outside or inside the Application (collectively, "Push Messages"). You may control the Push Messages in your device's or the Application’s settings. Some of the Push Messages may be related to your location or to your use of the Application or Content. Your carrier may charge standard messaging, data and other fees for use of Push Messages, and these fees may appear on your mobile bill or be deducted from your pre-paid balance. Your carrier may prohibit or restrict certain Push Messages and certain Push Messages may be incompatible with your carrier or mobile device. Contact your carrier with questions regarding these issues. You may discontinue Push Messages in your device’s or the Application’s settings or by deleting the Application. We may collect information related to your use of Push Messages. If you have registered for Push Messages, you agree to notify CBSi of any changes to your mobile number, as applicable, and update your account on the Application to reflect this change. The Application may allow you to access and interoperate with third party properties, software applications, and data services (collectively, “Third Party Properties”). CBSi has no control over any Third Party Properties you may connect to using the Application and is not responsible for the practices of any third party. You acknowledge and agree that CBSi is not liable for any loss or damage which may be incurred by you as a result of any reliance placed by you on the completeness, accuracy, or existence of any advertising, products, or other materials on or available from Third Party Properties. You acknowledge that the Application may check for updates to the Application that may be available to you. CBSi DOES NOT WARRANT: (1) THAT THE APPLICATION’S FUNCTIONS OR ANY CONTENT WILL BE UNINTERRUPTED OR ERROR-FREE; (2) THAT DEFECTS WILL BE CORRECTED; (3) THAT THE APPLICATION OR THE SERVERS HOSTING CONTENT ARE FREE OF VIRUSES OR OTHER HARMFUL CODE; OR (4) THAT THE APPLICATION OR CONTENT AVAILABLE THROUGH THE APPLICATION WILL CONTINUE TO BE AVAILABLE. CBSi AND THE DISTRIBUTION CHANNEL DISCLAIM ANY EXPRESS OR IMPLIED WARRANTIES, INCLUDING, WITHOUT LIMITATION, NONINFRINGEMENT, MERCHANTABILITY, FITNESS FOR A PARTICULAR PURPOSE, AND TITLE, AND THE APPLICATION, INCLUDING, WITHOUT LIMITATION, ALL CONTENT, SOFTWARE, AND FUNCTIONS MADE AVAILABLE ON OR ACCESSED THROUGH OR SENT FROM THE APPLICATION, ARE PROVIDED “AS IS,” “AS AVAILABLE,” AND “WITH ALL FAULTS,” EXCEPT TO THE EXTENT NOT PERMITTED BY APPLICABLE LAW IN YOUR JURISDICTION. YOUR ACCESS TO AND USE OF THE APPLICATION IS AT YOUR RISK. IF YOU ARE DISSATISFIED WITH THE SERVICES OR ANY OF THE CONTENT, YOUR SOLE AND EXCLUSIVE REMEDY IS TO DISCONTINUE ACCESSING AND USING THE APPLICATION. The Distribution Channel will not be responsible for addressing the following: (i) product liability claims; (ii) any claim that the Application fails to conform to any applicable legal or regulatory requirement; and (iii) claims arising under consumer protection or similar legislation. If you have any questions on those issues, you should contact us at the address below. The Distribution Channel will also not be responsible for investigation, defense, settlement and discharge of any intellectual property infringement claim. CBSi WILL NOT BE LIABLE TO YOU OR ANYONE ELSE FOR ANY LOSS OR DAMAGES OF ANY KIND (INCLUDING, WITHOUT LIMITATION, FOR ANY SPECIAL, DIRECT, INDIRECT, INCIDENTAL, EXEMPLARY, ECONOMIC, PUNITIVE, OR CONSEQUENTIAL DAMAGES) IN CONNECTION WITH THE APPLICATION, EVEN IF FORESEEABLE OR EVEN IF CBSi HAS BEEN ADVISED OF THE POSSIBILITY OF SUCH DAMAGES (INCLUDING, WITHOUT LIMITATION, WHETHER CAUSED IN WHOLE OR IN PART BY NEGLIGENCE, GROSS NEGLIGENCE, OR OTHERWISE, BUT EXCLUDING WILLFUL MISCONDUCT) UNLESS SPECIFIED IN WRITING. CBSi’S LIABILITY IN CONNECTION WITH THE APPLICATION FOR WILLFUL MISCONDUCT WILL NOT EXCEED THE AMOUNT PAID BY YOU IN CONNECTION WITH YOUR PURCHASE OF THE APPLICATION. THE FOREGOING LIMITATIONS WILL APPLY EVEN IF THE ABOVE STATED REMEDY FAILS OF ITS ESSENTIAL PURPOSE. YOU ACKNOWLEDGE AND AGREE THAT IF YOU INCUR ANY DAMAGES THAT ARISE OUT OF CBSi’S ACTS OR OMISSIONS, THE DAMAGES, IF ANY, ARE NOT IRREPARABLE AND ARE NOT SUFFICIENT TO ENTITLE YOU TO AN INJUNCTION OR OTHER EQUITABLE RELIEF RESTRICTING EXPLOITATION OF ANY WEBSITE, PROPERTY, PRODUCT, PROGRAM, TELEVISION SHOW, MOTION PICTURE, OR OTHER AUDIO/VISUAL CONTENT OWNED, CONTROLLED, OR DISTRIBUTED BY CBSi, INCLUDING WITHOUT LIMITATION THE APPLICATION. YOU ACKNOWLEDGE THAT YOU MAY BE WAIVING RIGHTS WITH RESPECT TO CLAIMS THAT ARE UNKNOWN OR ARE UNSUSPECTED. ACCORDINGLY, YOU AGREE TO WAIVE THE BENEFIT OF ANY LAW, INCLUDING, TO THE EXTENT APPLICABLE, CALIFORNIA CIVIL CODE § 1542, THAT OTHERWISE MIGHT LIMIT YOUR WAIVER OF SUCH CLAIMS. CALIFORNIA CIVIL CODE §1542 STATES: “A general release does not extend to claims which the creditor does not know or suspect to exist in his or her favor at thetime of executing the release, which if known by him or her must have materially affected his or her settlement with the debtor.” SOME JURISDICTIONS DO NOT ALLOW LIMITATIONS ON IMPLIED WARRANTIES OR THE EXCLUSION OR LIMITATION OF CERTAIN DAMAGES, SO SOME OF THE ABOVE LIMITATIONS AND EXCLUSIONS MAY NOT APPLY TO YOU. You will indemnify, defend, and hold CBSi and all of its officers, directors, owners, employees, agents, information providers, service providers, vendors, contractors, affiliates, partners, and licensors (collectively, the “CBSi Parties”) harmless from and against any and all liability, losses, costs, and expenses (including attorneys' fees) incurred by any of the CBSi Parties in connection with any claim, including, but not limited to, claims for defamation, violation of rights of publicity or privacy, copyright infringement, or trademark infringement arising out of: your use of the Application; any use or alleged use of your account or your passwords by any person, whether or not authorized by you; your connection to CBSi’s or its vendors’ servers; your violation of this Agreement; or your violation of the rights of any other person or entity. CBSi reserves the right, at its own expense, to assume the exclusive defense and control of any matter for which you are required to indemnify CBSi, and you will cooperate with CBSi’s defense of these claims. This Agreement is effective until terminated. You may terminate the Agreement at any time by: (i) irretrievably erasing, deleting, or destroying all copies of the Application in your possession or control; and (ii) ceasing to use the Content. CBSi may terminate this Agreement at any time for any reason or no reason. Upon termination for any reason, the license granted in Section 4 will immediately terminate. The provisions in Sections 1, 2, 3, 5, 6, 7, 8, 11, 12, and 13 will survive any termination. You will not ship, transfer, or export the Application or Content into any country or use the Application in any manner prohibited by the United States Export Administration Act or any other export laws, restrictions, or regulations (collectively, “Export Laws”). In addition, if the Application or Content is identified as export-controlled under the Export Laws, you represent and warrant that you are not a citizen, or otherwise located within an embargoed nation or a nation that has been designated by the U.S. government as a “terrorist supporting” country and that you are not otherwise prohibited under the Export Laws from receiving the Application or Content. 11. Governing Law, Venue, and Jurisdiction. This Agreement and all claims arising from or related to your use of the Application will be governed by and construed in accordance with the laws of the State of California, except California's conflict of law rules. This Agreement and the Application will not be governed by the United Nations Convention on Contracts for the International Sale of Goods, if applicable. With respect to any disputes or claims not subject to arbitration (as set forth below), you agree to exclusive jurisdiction in the state and federal courts in San Francisco, California. Notwithstanding any other provision of this Agreement, we may seek injunctive or other equitable relief from any court of competent jurisdiction. Regardless of any statute or law to the contrary, you must file any claim or action related to use of the Application or this Agreement within one year after such claim or action accrued. Otherwise, you will waive the claim or action. We may elect to resolve any controversy or claim arising out of or relating to this Agreement or the Application by binding arbitration in accordance with the commercial arbitration rules of the American Arbitration Association. Unless we establish a different location, arbitration hearings will be held in San Francisco, California. The arbitrator’s award will be binding and may be entered as a judgment in any court of competent jurisdiction. This Agreement constitutes the entire agreement between the parties with respect to its subject matter and supersedes any prior oral or written agreements, provided, however, that this Agreement will coexist with the CBSi Terms and any Additional Terms. To the extent that the provisions of this Agreement conflict with the CBSi Terms, this Agreement will govern. We may be required by state or federal law to notify you of certain events. You hereby acknowledge and agree that such notices will be effective upon our posting them on our sites or delivering them to you via email, if you have provided it to us. If you do not provide us with accurate information or we do not have access to your email address, we will not be responsible for failure to notify you. If any part of this Agreement is determined to be invalid or unenforceable under applicable law, that provision will be removed, and the remainder of the Agreement will continue to be valid and enforceable, except as expressly stated. Our failure to exercise or enforce any right or provision in this Agreement will not constitute a waiver of such right or provision. Except as otherwise required by law, the controlling language of this Agreement is English. This Agreement will be binding upon and will inure to the benefit of the parties, their successors and permitted assigns. You acknowledge and agree that the Distribution Channel is an intended third party beneficiary of the Agreement and will have the right to enforce this Agreement against you. If you have any questions, claims, or complaints, you should notify us using the Contact Us Link on this site or by clicking HERE. You hereby acknowledge that you have read and understood this Agreement and agree that by clicking “Accept” or by installing, copying, or using the Application you are acknowledging your agreement to be bound by this Agreement.